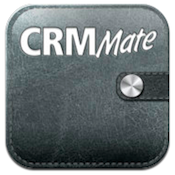 CRM-Mate for iPad, developed by Novomate, offers up a comprehensive suite of sales and business tools that will help you to organize your life. 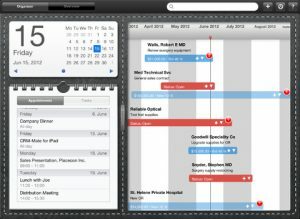 Whether you need a better way to visualize your appointments and upcoming meetings, or want to streamline your system for managing your clients, CRM-Mate for iPad is a wonderful tool to add to your arsenal. 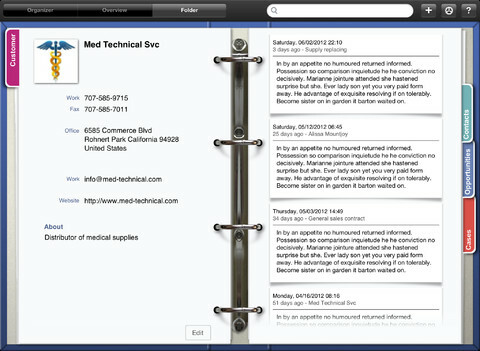 I can’t stress enough how slick the user interface in CRM-Mate for iPad looks. 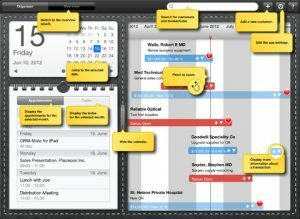 The whole app has been thoughtfully designed, and the beautiful visualizations of your schedule really help to understand what you workload looks like. 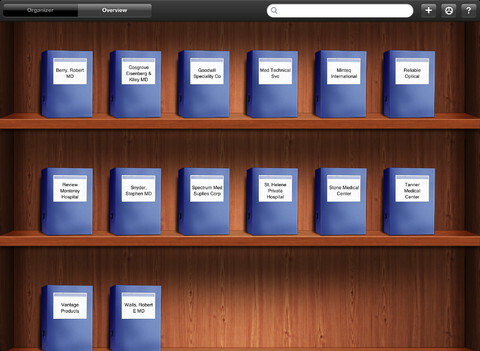 Now, CRM-Mate for iPad is clearly targeted towards people who are in a sales-based career path. 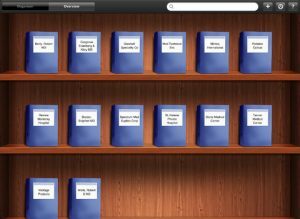 For example, each sales folder contains all you need to know: customers, contacts, opportunities, cases and related notes. 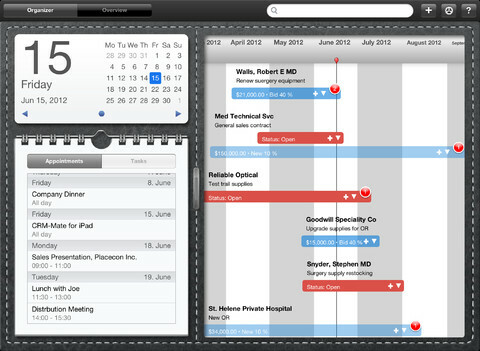 But the schedule visualization alone is so nice and clean and easy to read that even non-sales people can benefit from downloading CRM-Mate for iPad. 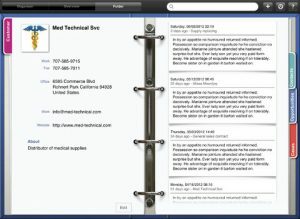 Now, if you are in sales and need to coordinate your efforts with other members of your team, CRM-Mate for iPad is also ideally suited for that task. There are various ways to connect CRM-Mate with your existing CRM system, which CRM-Mate’s developers can walk you through on a customized, case by case basis. Intuitively designed and easy on the eyes, CRM-Mate for iPad is a vital tool for salespeople and non-sales associates alike. 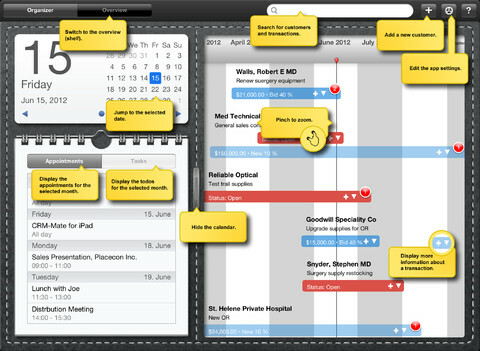 While its robust client management features make it a business tool that is best suited for sales professionals, the thoughtful design offers up one of the best appointment visualization tools on the App Store.